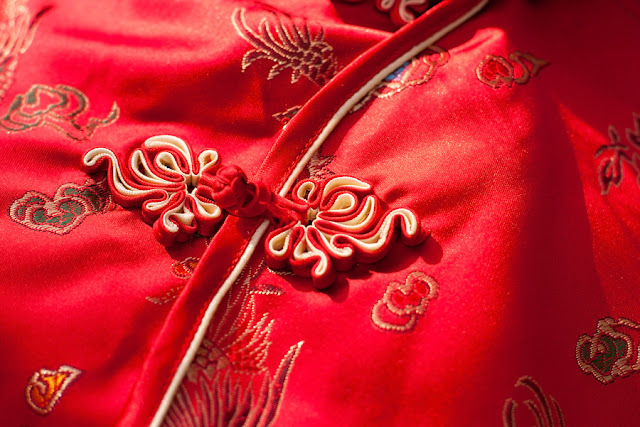 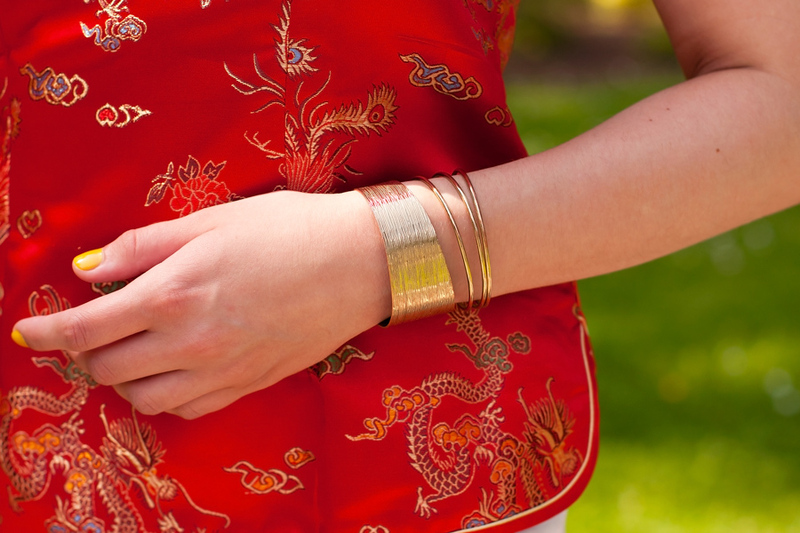 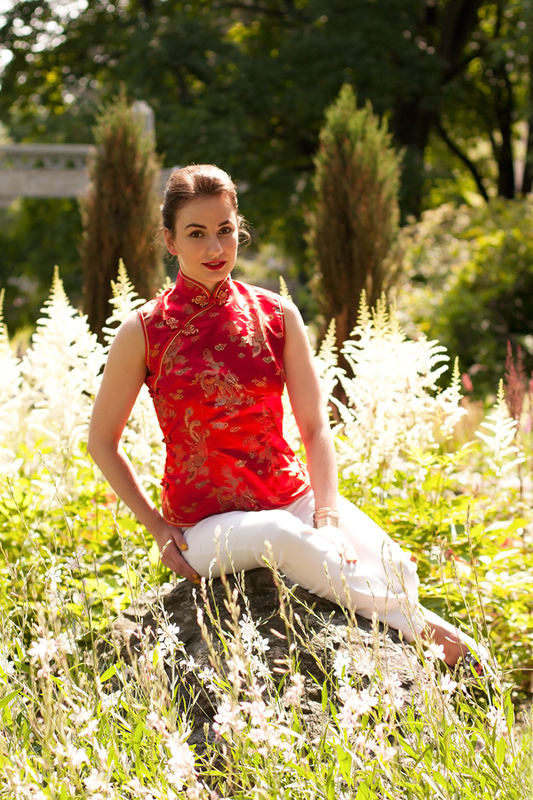 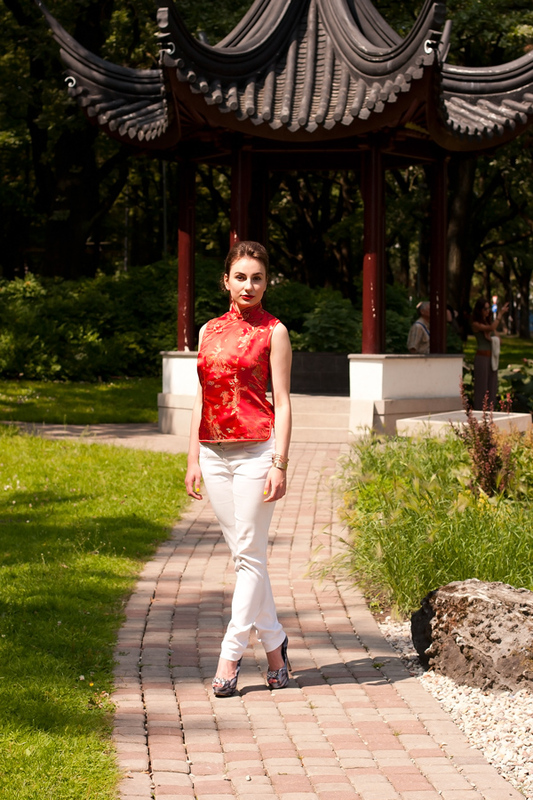 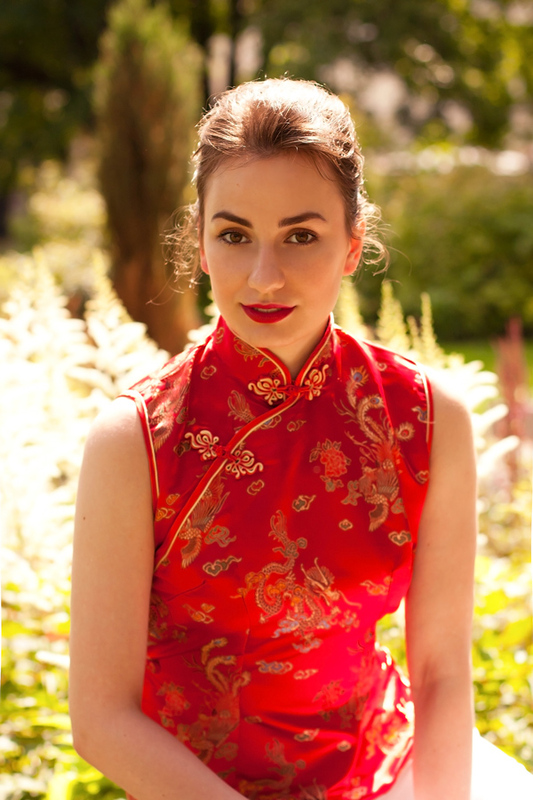 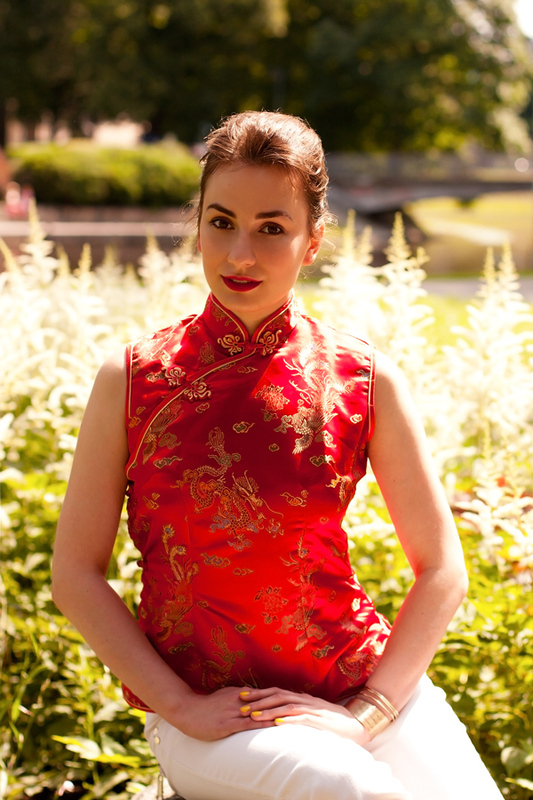 This time we will focus on iconic Chinese Qipao blouse that I chose for my yesterday look. 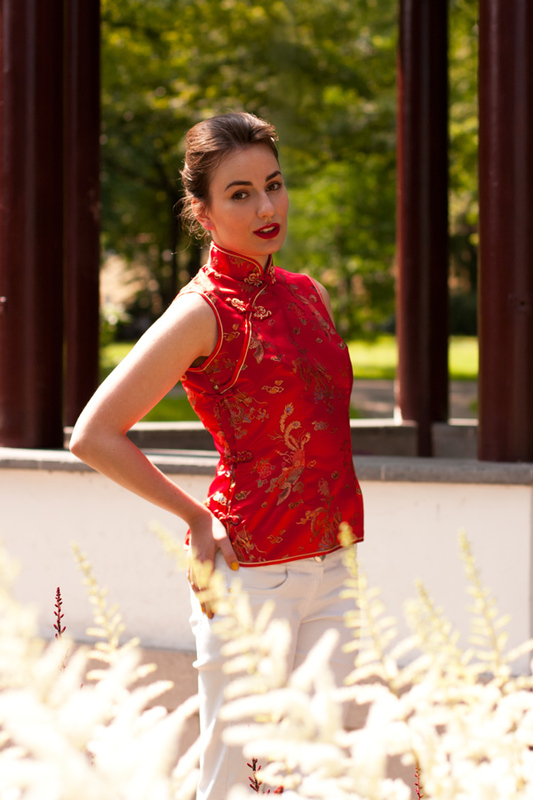 When I saw this blouse with traditional dragon prints, and moreover, in red color, I couldn't leave without it! 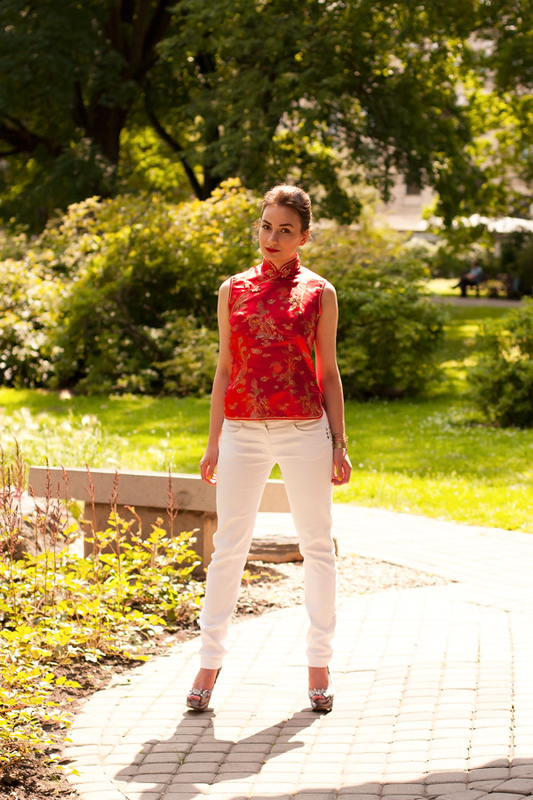 So, I mixed Qipao with white trousers, studded platforms and bracelet. 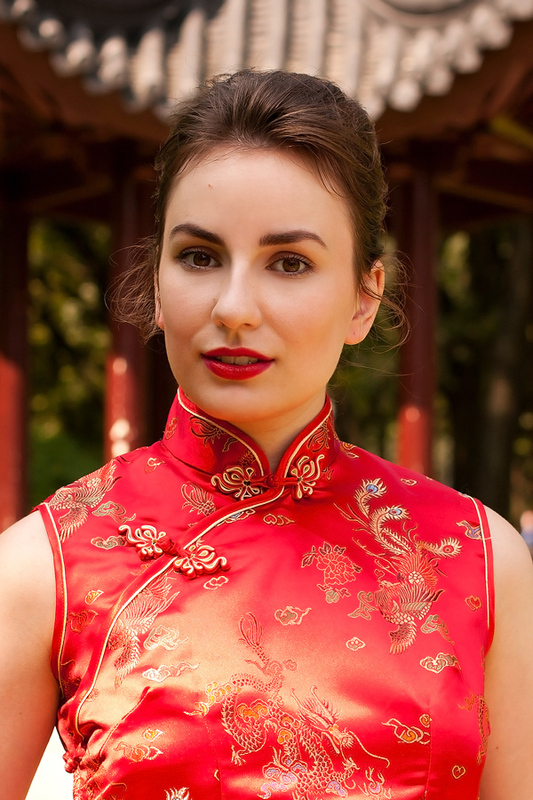 The look was finished by gathered hair and red lipstick.